Instagram is always changing and that’s the beautiful (and scary) thing about social media. There are now over 800 million users on the platform, 500 million of which are active daily users! But one thing remains constant, sharing your best work will always be the number one game plan. There are so many layers to Instagram and reasons to be on the platform. As a food photographer who shares both personal and client work on my feed, I find it sometimes hard to create a consistently beautiful Instagram color palette. Have you ever noticed that wedding photographers are seemingly the best when it comes to creating a follow-worthy Instagram color palette? Because wedding photography is usually bright and airy, complimented with soft tones. Even black and white photography has a soft side to it. There is usually a lot of white and desaturated bold colours. Seemingly, wedding photographers use their favourite crafted presets to get the same consistent look over and over. So there are a lot of share-worthy images you can play with to create a consistent Instagram color palette. 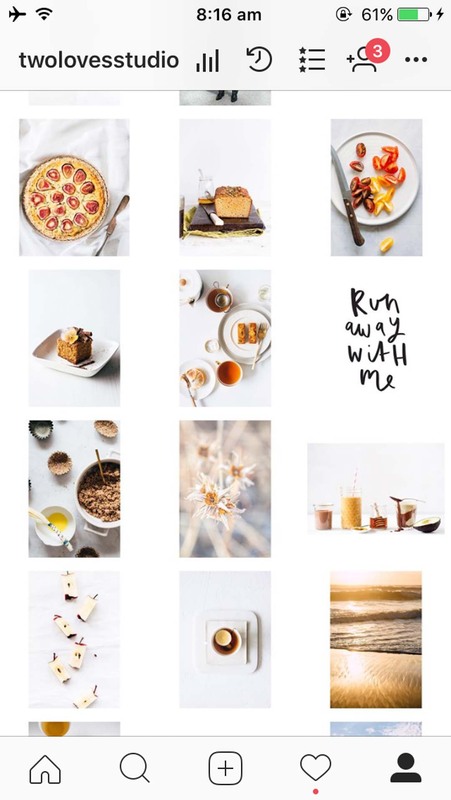 If you want to read more about how to capture food for Instagram, you can do that here. 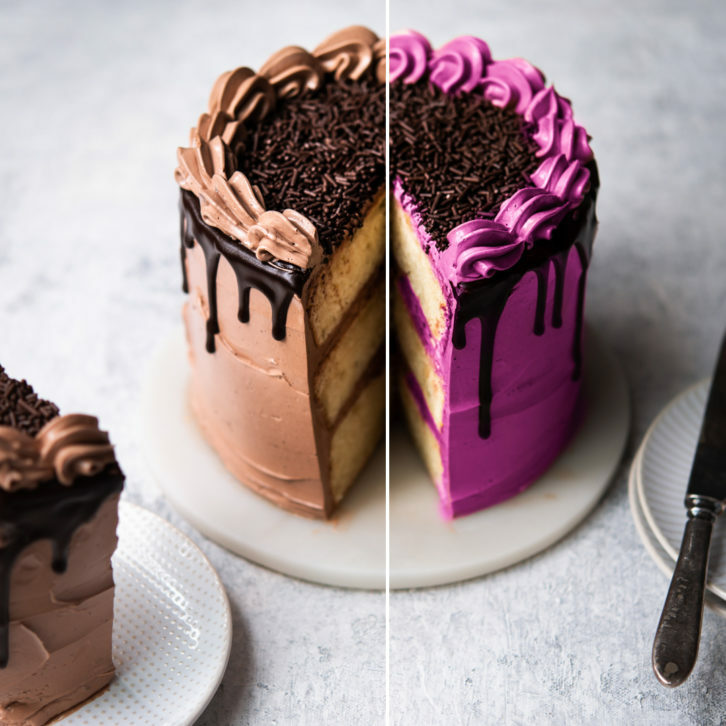 Is Food Photography Harder To Create a Follow-Worthy Instagram Color Palette? 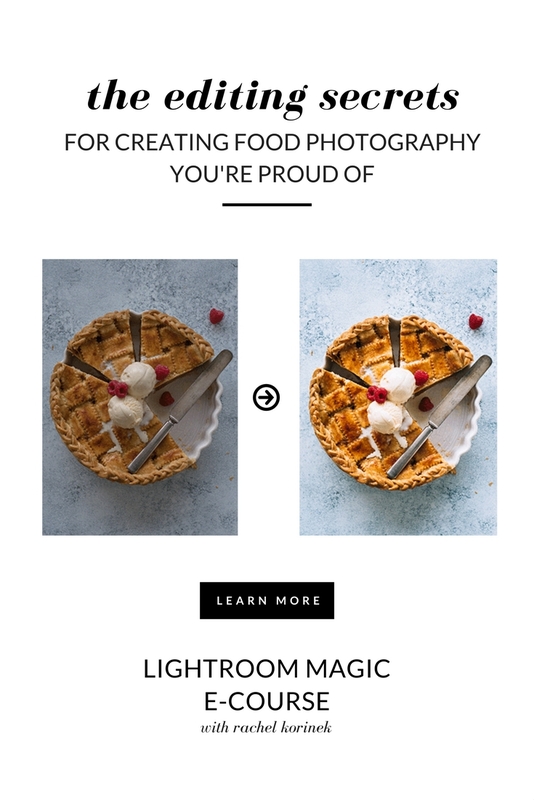 I guess I wouldn’t use the word harder in the context that somehow food photographers don’t know what they are doing, it’s more that food photography trends are broader in terms of what colours we use to shoot with. We really aren’t limited, bold colours are encouraged and we compliment the food we’re shooting, which by the way is every colour in the rainbow! Is a Consistent Instagram Color Palette a Must? In the world of creativity, I don’t like to say anything is set in stone. That’s the beauty of art, you make your own rules. But there is no denying that Instagram accounts with beautiful color palettes do really well in terms of followers and engagement. My advice? 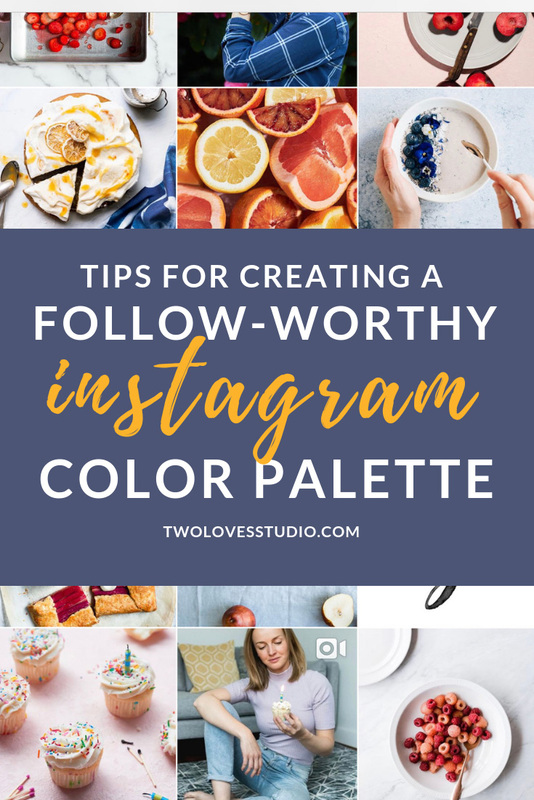 If it’s important to you to have a follow-worthy Instagram color palette, if you can glance over your feed and give yourself a pat on the back, then sure – go for it! 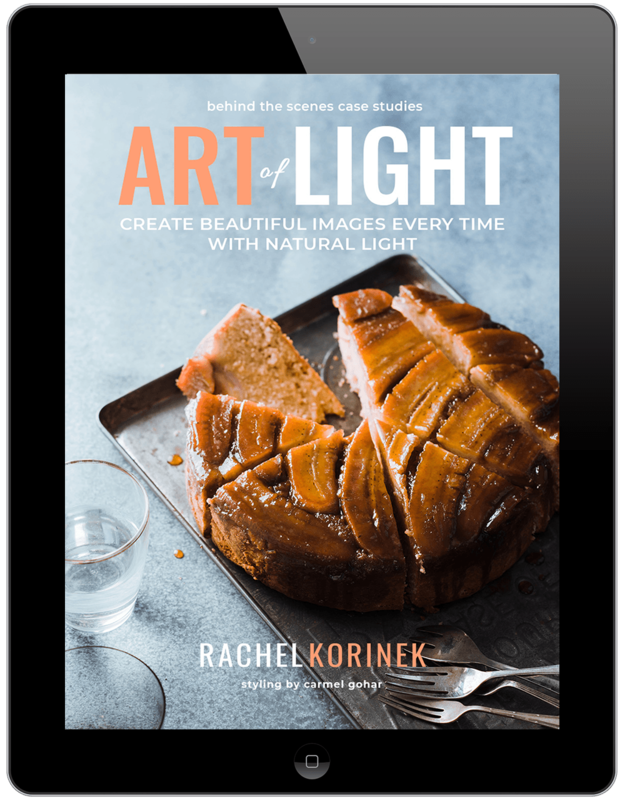 Get savvy on how to use Color Theory in food photography. 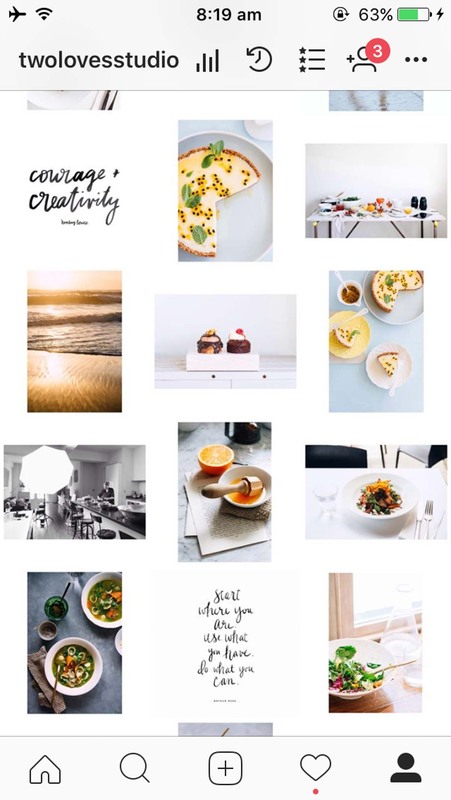 So if you’re a foodie and you shoot everything, love to jump into all sorts of colours when it comes to the food you shoot, props you play with and backgrounds, then here are a few tips for creating a gorgeous Instagram Color Palette. Adding pops of soft pastels throughout a series of images for the week. The biggest hesitation when it comes to choosing and sticking to an Instagram color palette is the idea that you HAVE to stick to it forever! I know that scary word when it comes to creativity. Our style and passions do change after all. If that’s you, then why not try to share your images in ‘colour themes’? You can check out how I integrate colour into my Instagram here. This is a great tip for sharing your past work. In the blink of an eye, we’ve scrolled past an image and if the algorithm isn’t on your side then chances are a lot of your followers missed it. Collating your past work by colour of the food and props can give you a few weeks of a colour theme that can also tie into the season you’re in. Here I shared past and present work in the theme of ‘golden tones’. It creates a sense of unity in my work. That also how I build my portfolio of food photography. During Fall, go with golden tones throughout your feed. Now, I am a sucker when it comes to black and white images, and I know that they don’t integrate as well into food photography as they do with other photographic niches. But some of my favourite accounts use a mix of colour and black and white images in every other image kinda way. 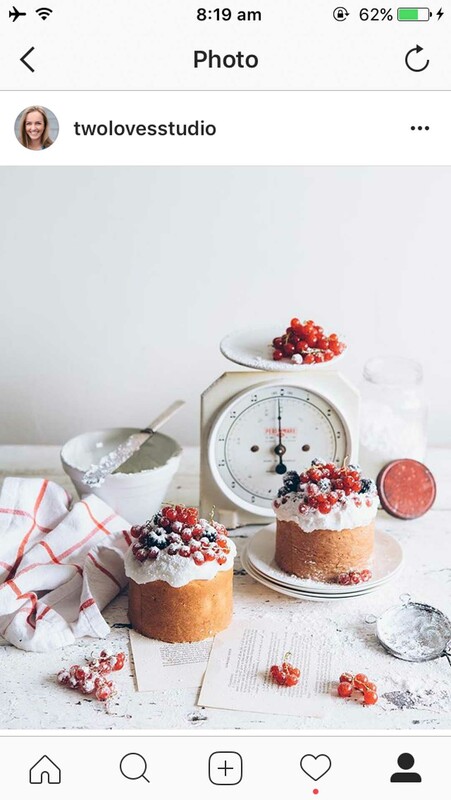 So how do we create this when it comes to food photography? Well, the next best thing is to share a light image, then a dark and moody image. A lot of us love to shoot both, so alternating between the two can create a really interesting effect. Used best when it’s integrated with lighter images to break up the dark if you’re not a sole moody shooter. There is no denying that accounts that tend to share similar lighting do best, so solely bright and airy images or dark and moody. But it’s tough to limit yourself to just one right? To get a consistent feel, try to use the same set of presets to achieve a consistent look. As light is always different and colours render differently in our images, it is handy to have a set of presets that achieve a similar look and feel amongst our feed. Both of these images were shot in different types of lighting for different emotions. Different editing or styles of presets would be used to create the same lock with the final image. 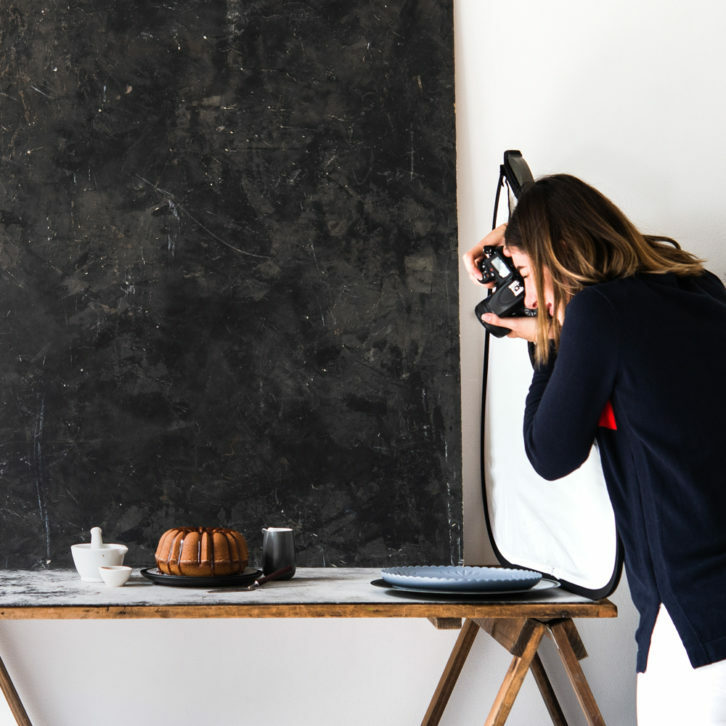 Read more on the editing secrets to create gorgeous food photography. This one will totally depend on your strategy when it comes to your account and what Instagram color palette you will go with. But sometimes when we share a lot of food that is different colours, it can feel overwhelming when you land on the feed. This is sometimes how I feel about my account, so my trick is to share a quote every now and then to act as negative space. If you use Canva, you can totally whip up a few inspirational quotes and choose a background colour that matches the colours of the images it will surround. Can you just share someone else’s quote? Well, this is a bit of a grey area. Technically you’re violating Instagram’s T+C’s by sharing the work of others, but most people are happy for you to share with due credit. So if you know who the REAL creative is can tag them in the photo and caption, then you’re most likely ok. If not, create your own using Photoshop or Canva. My favourite tool to use with my Instagram and figure out my Instagram color palette is to use Later, and preview my images before they are posted. 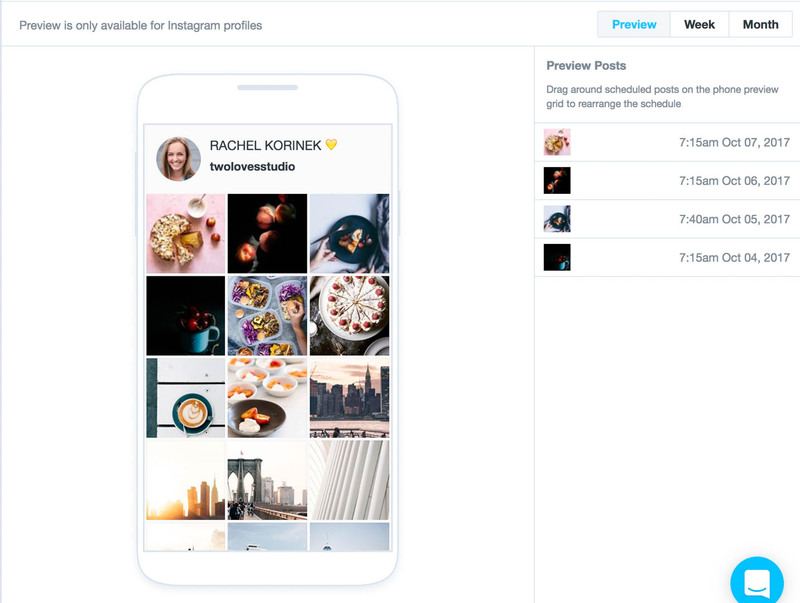 They have a cool feature where you can preview the layout of your images before you post and switch them in preview format so that all of your images mesh well together. Use on both desktop and computer so it will compliment your workflow. They totally have a free plan too. It is a total time saver and helps us get more savvy with sharing a consistent Instagram color palette. Not sure what colours you post the most of in your feed? Then check out ColorKuler to see your Instagram color palette and get some insights into the colours you’re posting. Apparently, I am Light Pink! Best practice is to check back often or anytime you are going to batch or schedule your posts as the colours may change. View your upcoming posts with Later.com to see how your color palette will look. Basic account is FREE! 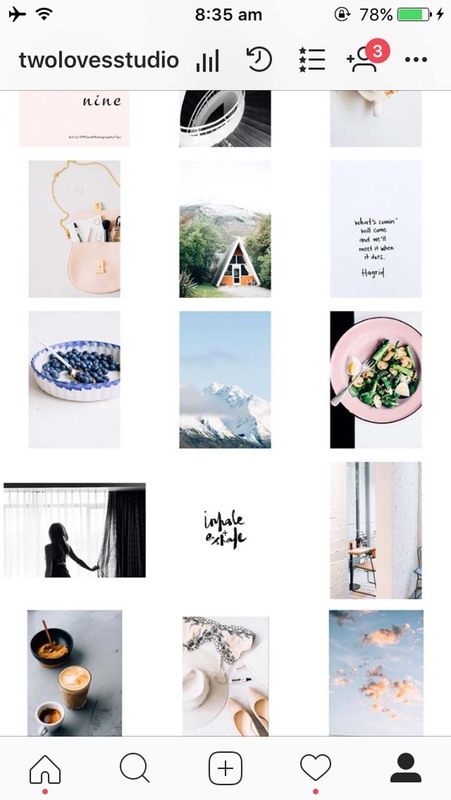 Integrating white into your Instagram color palette is always a win. It is so clean and unassuming. You can use it to create breathing room with your feed in so many ways. 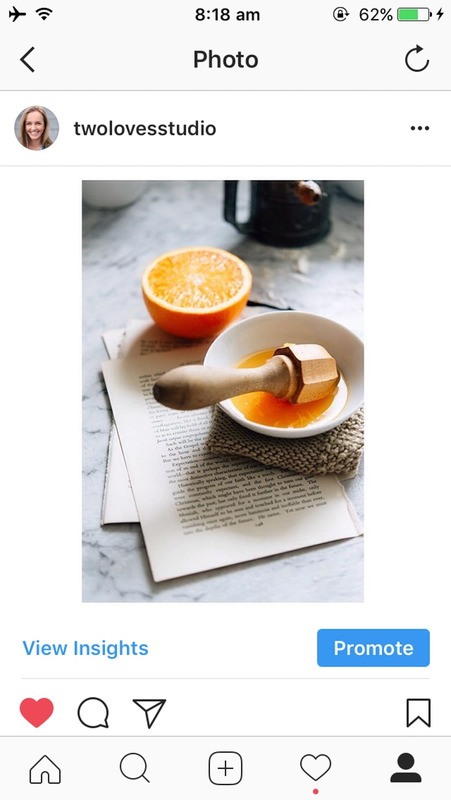 Loads of accounts use an app like Squaready to create get their images orientation into the square, leaving a larger white border to create the sense of flow in their feed. I also have a free PhotoShop version in the Resource Hub. Check it out here. 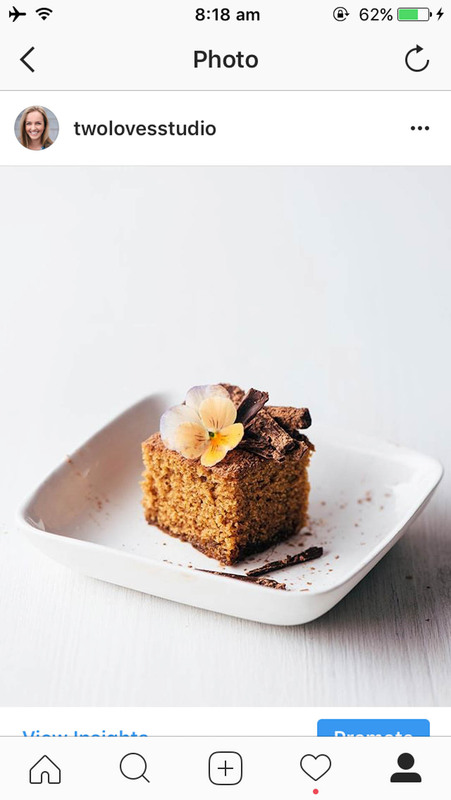 Using ColorKuler, I checked out some of the most loved Insta foodie accounts to see what colours were popping up in their feeds. Surprisingly a lot of grey tones were consistent and colors with cool blue tones and loads of variations of white (no surprise there!). What’s your Instagram color palette? 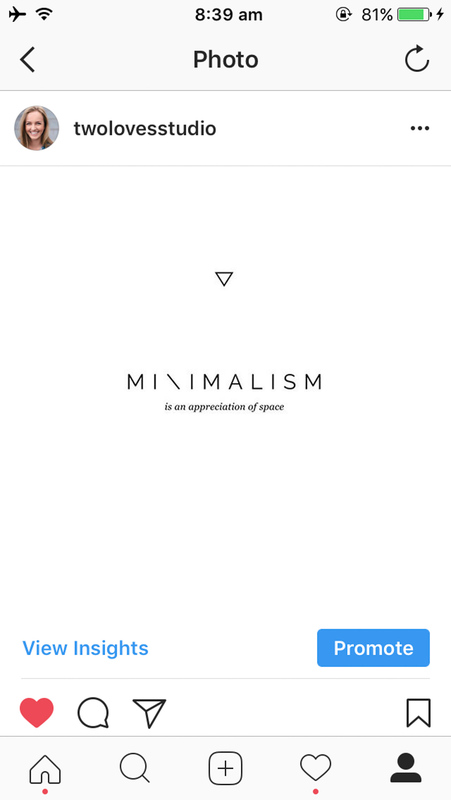 What accounts color palettes are you inspired by? Leave me a link below – I would love to know what inspires you. Great article. Offered a lot of insight! That’s so interesting Liz! Just looking at your blog name, I can see that it would tie into that fact. Cool huh? I think I am all over the place! Just upgraded my old old camera and trying to learn. Any suggestions on my instagram feed? Love this article… I’m working on finding my edition style… I usually use B&W for personal photos in my IG account. I’m totally inspired by Dana Walton (danawalton) and Dolores Mendilaharzu (dolores_mendilaharzu) and , of course you! Hey Silvina! Thanks so much 🙂 I like the combination that you use! It is very unique. Love the subtle pops of colour throughout. Do you feel like this is working for you? Hey Rachel! I’m curious, which are some of your favourite accounts that use a mix of colour and black and white (like you mentioned on this post)? Thanks! Thanks for stopping by! Glad you enjoyed the article. This post was so insightful & I really appreciated how many tips & pointer it included! 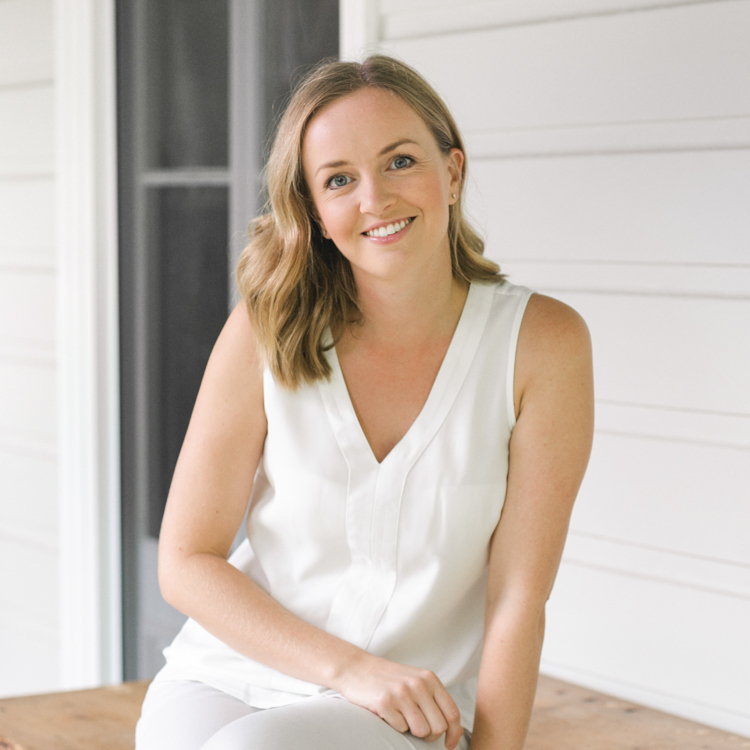 I’m looking at changing up my instagram up & this article has helped give me an idea of what I can do to reach my end goal! That’s super cool Michelle! Come and say hi on IG. I’d love to see what you end up doing. @twolovesstudio.